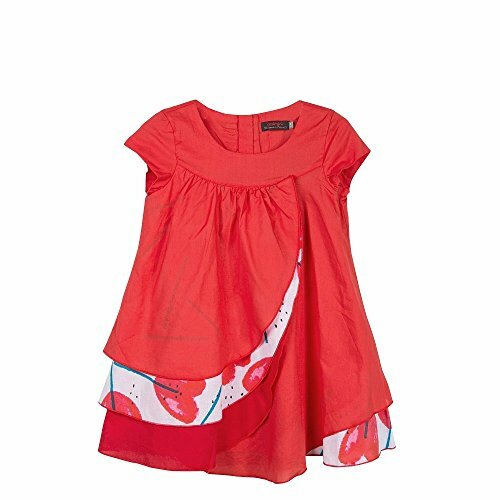 Dress for girls with asymmetrical multi-layered ruffle hem and exclusive flower and heart patterns printed on light voile fabric. Elegant colors, graphic print, and original cut: girls need look no further! The rounded neckline with invisible back zip, short sleeves, and delicate Bourdon stitch detail add a romantic touch. A must-have for this spring and summer!